[1.8 !] -[16x]- XYZ Pack ! 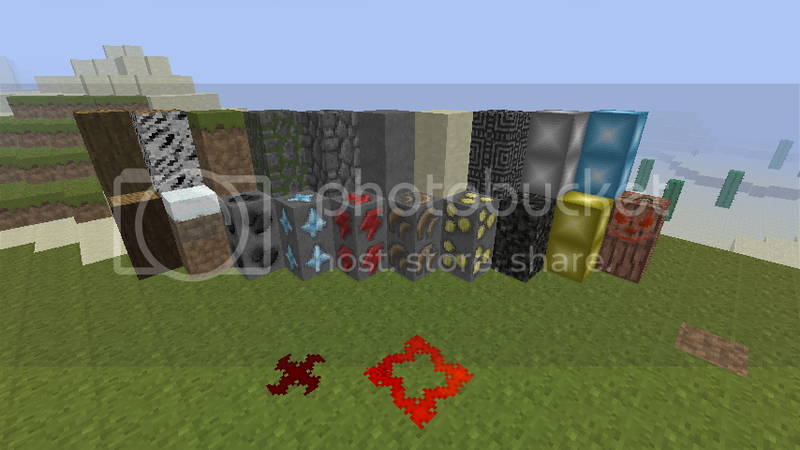 Ores, Stones, Cobbles, bricks and More ! Ore Blocks, Glass and Spawner ! 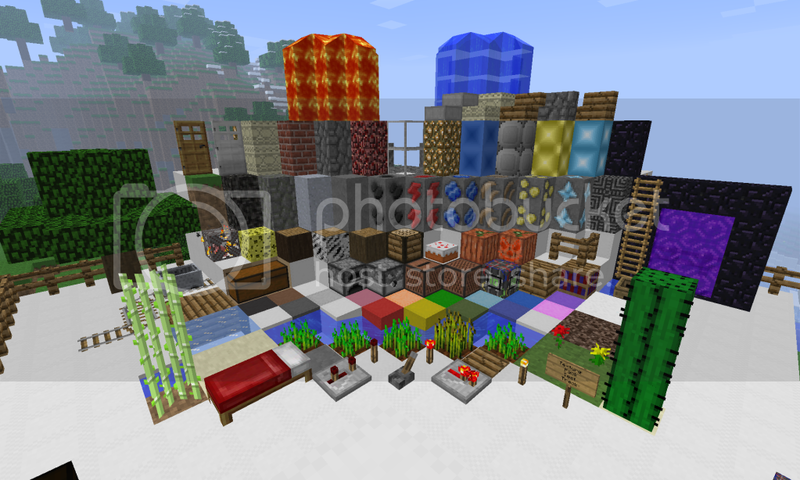 Wooden planks, Workbench, Woods, TnT, Pumpkins and Redstone ! -With more 1.8 content ! avalaible in 1.8 too ! 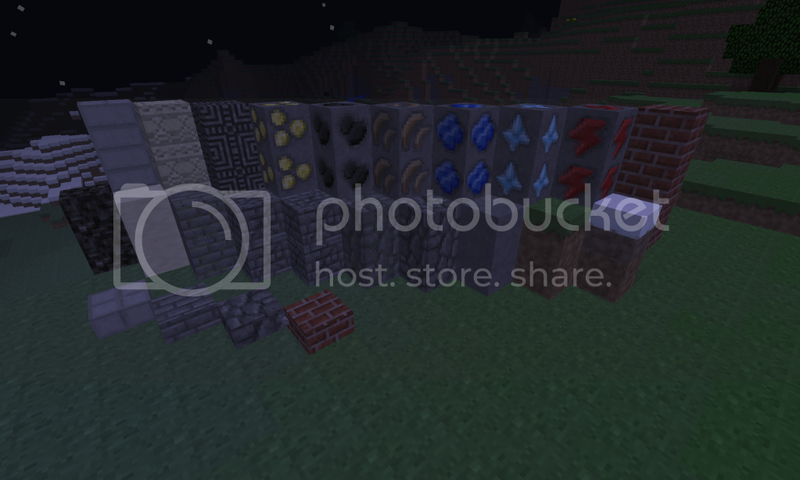 Now with lapis, sandstone, better pumpkin, wooden planks and a lot more ! But I dont have enough time to upload screens... Someone can take some cool screens ? 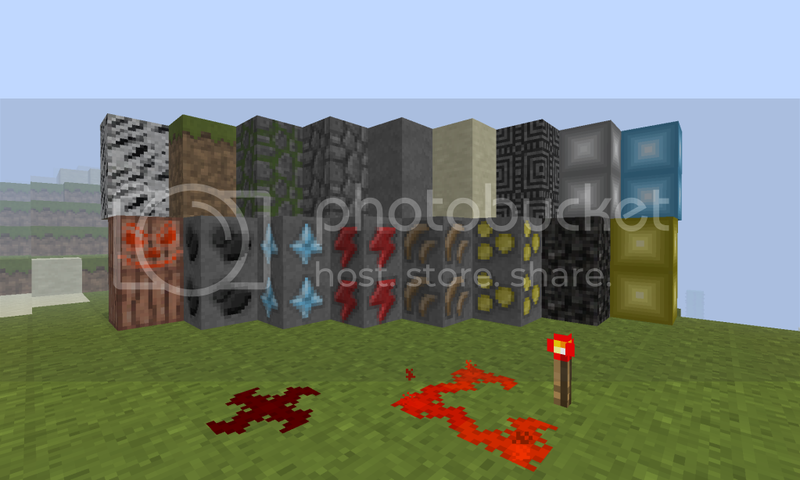 From left to Right : Birch Wood, Pumpkin and Jack-o-lantern, Dirt, Coal ore, Mossy Cobble, Diamond Ore, Cobble, Redstone Ore, Smooth Stone, Iron Ore, Sand, Gold Ore, Bedrock and finally Gravel, Iron B., Gold B., Diamond B. and Redstone. 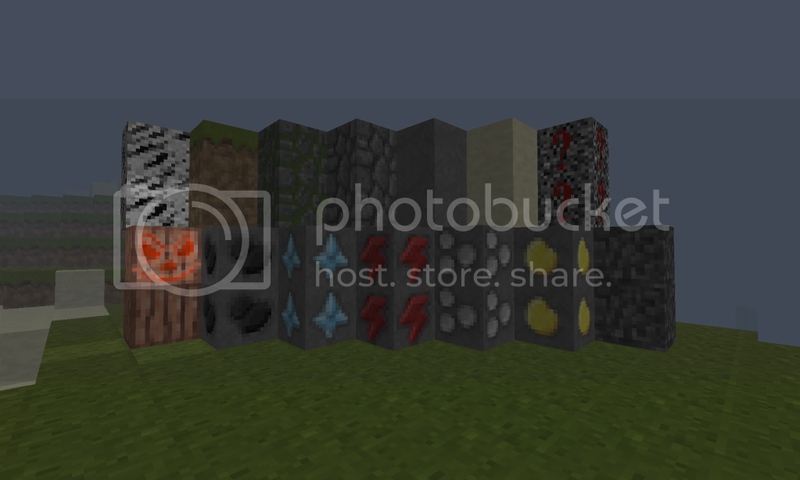 From left to Right : Birch Wood, Pumpkin and Jack-o-lantern, Dirt, Coal ore, Mossy Cobble, Diamond Ore, Cobble, Redstone Ore, Smooth Stone, Iron Ore, Sand, Gold Ore, Bedrock and finally Gravel. That's all I've done, but it's in progress. Thx =D, but... but im not sure to understand what you mean about "some textures blended in"... but ill make it less cobble like. Can someone tell me how to insert a link to this page in my img signature ? Plz ? 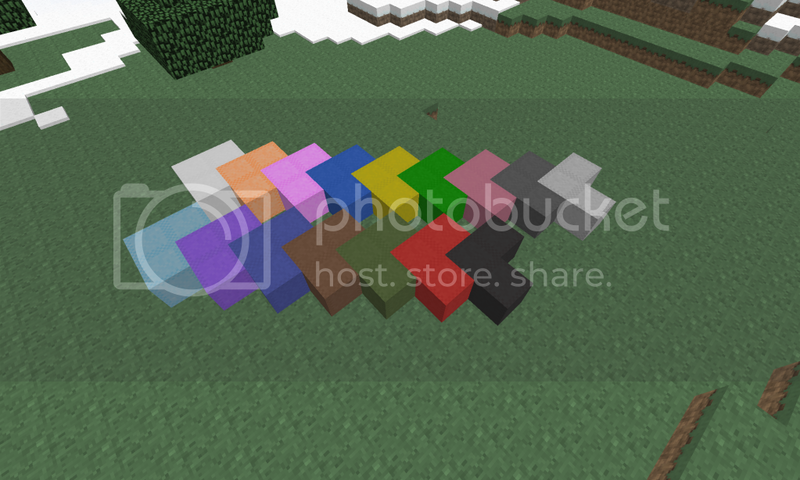 What I meant by "some textures blended in", that some of your textures you made for like the stone and colors similar to your stone seemed like that was all blended into the gravel~! I said this already, but i'm so looking forward to this! 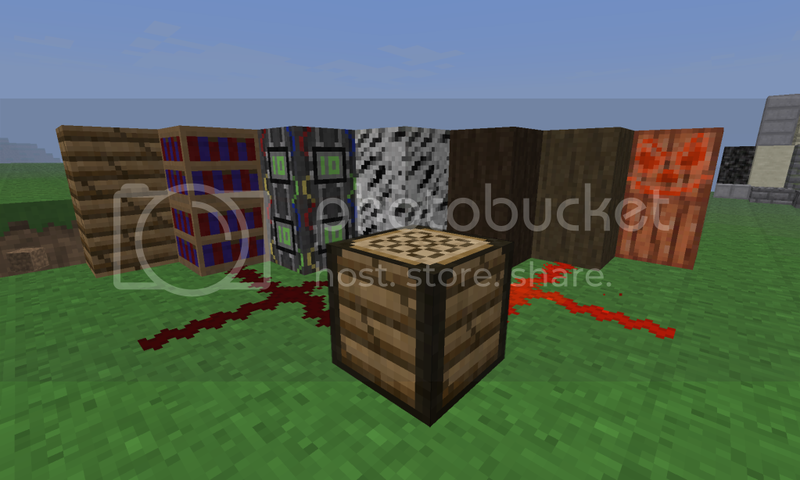 The redstone looks really cool. The iron ... maybe not have it white, but more so like the default tan color? Is the new version better ? What use is an ear that does not hear, or a mouth that does not speak? Should I put a download link now or its better to wait to have more ? Though, after looking at it, perhaps the gold could be a little more "gold"? I feel it's fine as is, but at the same time - it could be a little more richer in color. Do you also by chance plan on editing items/mobs? You can now download it =D ! Looking good Nano, maybe I can help out some. 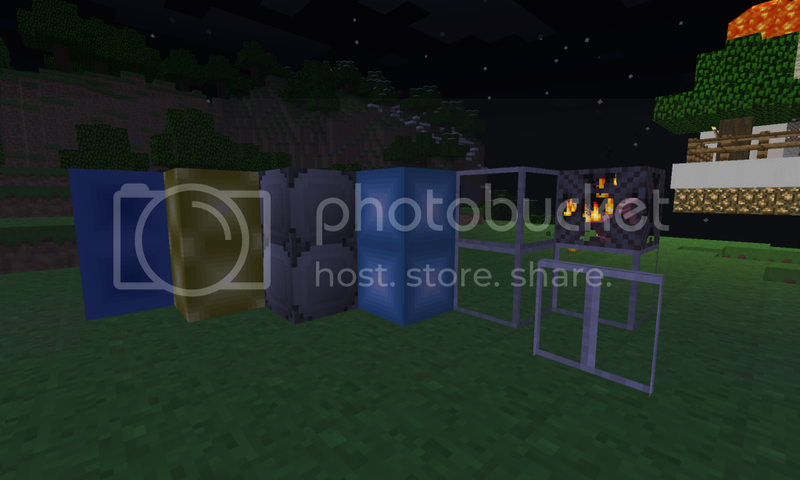 I like the way most of these blocks look, maybe I can help you make the pumpkins a little more.. orange? they look alright, but I'd leave the face a little more yellow rather than red, for the candle light, and the pumpkin itself looks old, almost rotting, rather than a more orange color. the gravel does look similar to obsidian or bedrock, though I'm sure getting used to it would be easy. The logs look very good actually. 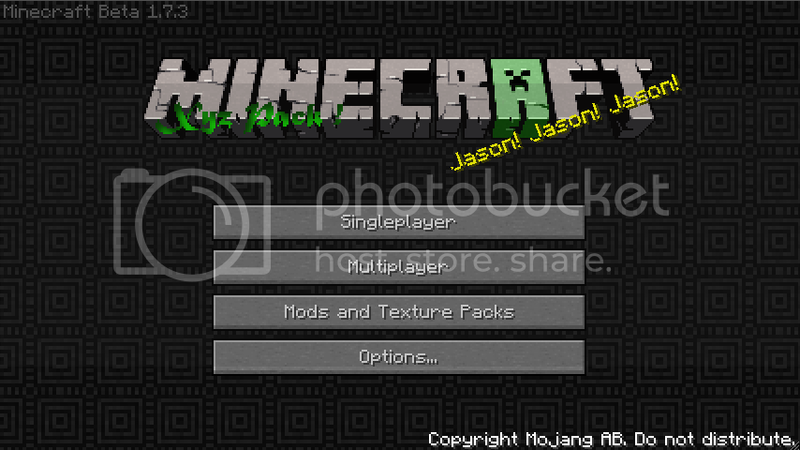 And as is usual, looking at new texture packs makes me want to start working on my own again, fixing it. I'm able to help if you'd like. Can someone tell me what he think about itt... please ?